Paige Matthies won the Midwest Marshall & Sterling Junior/Amateur Horsemanship Medal Final. Photo Chicago Equestrian. 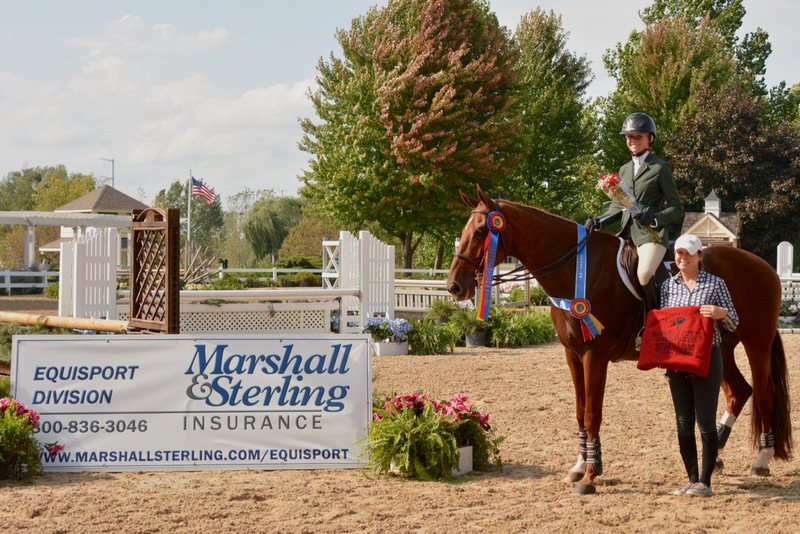 Wayne, IL – September 17, 2016 – Grand Prix ring competition continues at the Showplace Fall Championship Horse Show as riders gear up for the big weekend at Lamplight Equestrian Center. 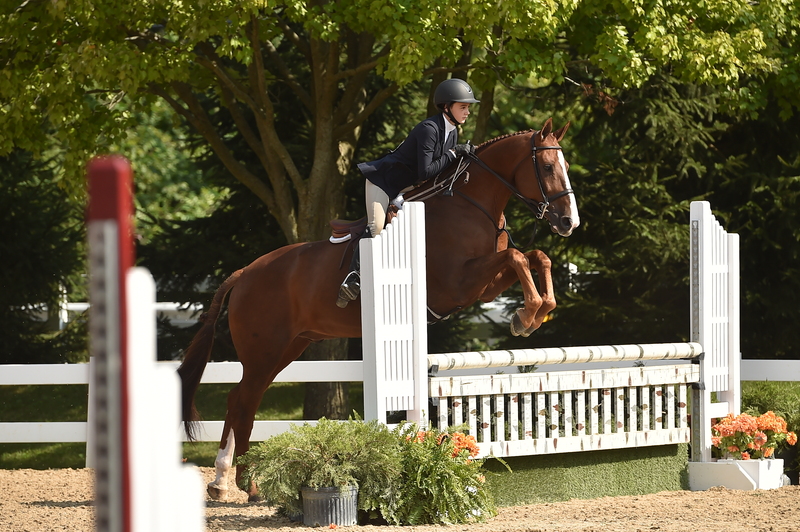 With the Marshall & Sterling (M&S) Midwest Finals and the Illinois Hunter Jumper Association (IHJA) “A” Medal Finals taking place over the weekend, riders were getting their “A” game ready in the final qualifying classes. The first M&S Final of the weekend took place in the main hunter ring, the Junior/Amateur Horsemanship Medal Finals. Qualified horse and rider combinations took on the challenge of a beautiful equitation course that included many elements of an equitation final such as bending lines, rollbacks, option jumps and turns along with straightforward lines. The group was then called back to show on the flat. After working the second direction, the judge began to call numbers to the center, leaving the final riders on the rail for additional work. Show manager, Patrick Boyle, kept the excitement level high as they called the results in reverse order, with the final call for Paige Matthies of Lake Leelanau, Michigan, for the win. Celia Bresch of Barrington, Illinois, took the reserve championship, Aristea Santoro of Cedar, Michigan, was third with Amy Muslin of Glencoe, Illinois, in the top four. 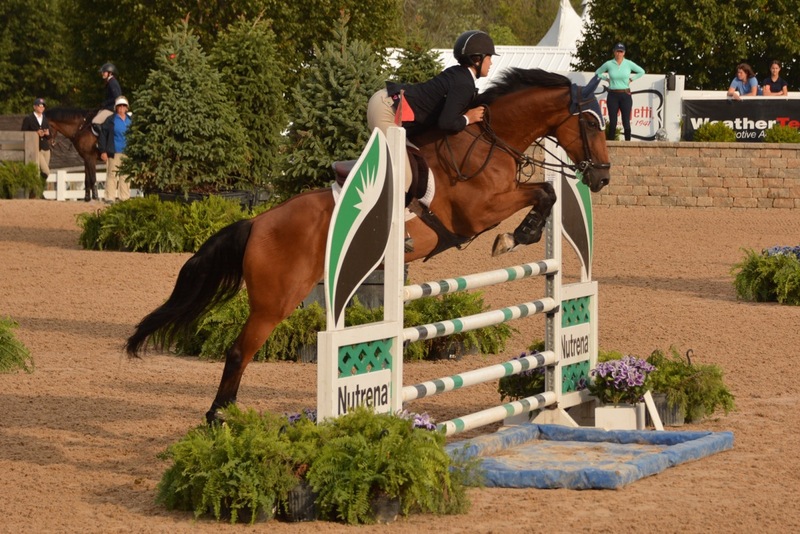 Matthies rides with Melissa Hirt at Northern Pines Farm in Maple City, Michigan and is qualified for the Maclay Regionals and the USEF/Pessoa Medal finals this year. Amy Muslin and Rico took home fourth place in the M&S Junior/Amateur Horsemanship Medal Final. Photo Chicago Equestrian. Muslin, 17, rides with Katie Kappler in Lake Forest, Illinois. Equitation riders rode in the ASPCA Maclay class, which was perfect timing for riders getting ready for the Maclay Regional Finals - Region 4 that take place in Kentucky next week. After putting competitors through the paces over fences and on the flat, it was Paige Matthies, 15, who walked away with the blue ribbon again. Gia Gulino, 17, took second place and Celia Bresch, 15, rounded out the top three. Celia Bresch and Loredo took the Reserve Championship in the M&S Junior/Amateur Horsemanship Medal Final. Photo Chicago Equestrian. 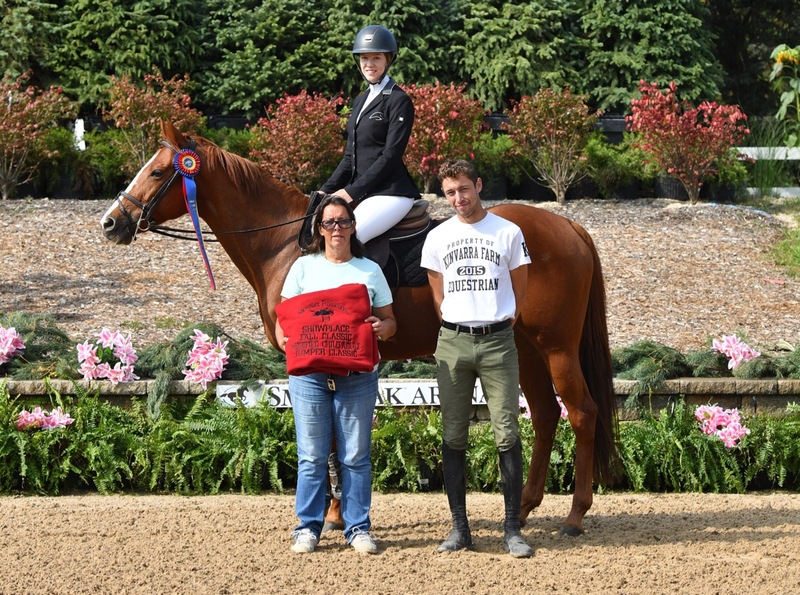 Bresch, who rides at Perfecta Farm in Elgin, Illinois, is qualified for the Maclay Regionals and the USEF/Pessoa Medal Finals and has landed the ride on the equitation horse, Loredo. 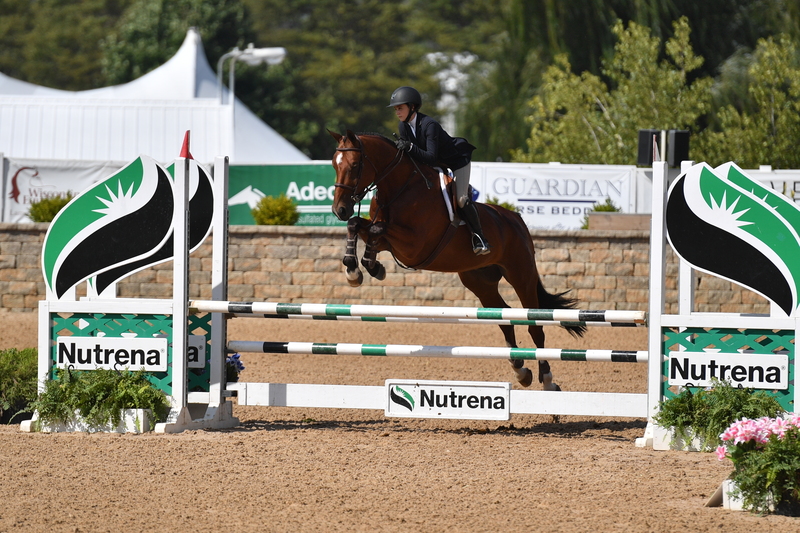 Caitlin Boyle, who also grew up at Perfecta Farm, had a stellar equitation run with Loredo, earning numerous awards and successfully qualifying and showing in all of the equitation finals. “Larry is absolutely amazing and I’m so thankful to get the ride on him,” added Bresch. The Grand Prix ring held the USHJA 3’3” Jumper Medal where Aristea Santoro earned the blue with Matthies in second and Keara Belle Obrzut in third. Santoro had an outstanding day, also winning the WIHS Children’s Hunter Classic with Audience of One. At only 13, Santoro is second in the nation in the WIHS standings and third in the NAL standings for the Children’s Hunters. She is qualified for both the Maclay Regionals and the USEF/Pessoa Medal Finals and will be going with trainer Melissa Hirt. Aristea Santoro and Audience of One winning the WIHS Children's Hunter Classic. Photo Andrew Ryback Photography. Grand Prix ring action included the Low Junior/Amateur Jumpers with a Power & Speed class. Riders tried their luck on the Anderson Lima designed course with Kristen Franz and Cypress hedging out the competition for the win in 26.163. 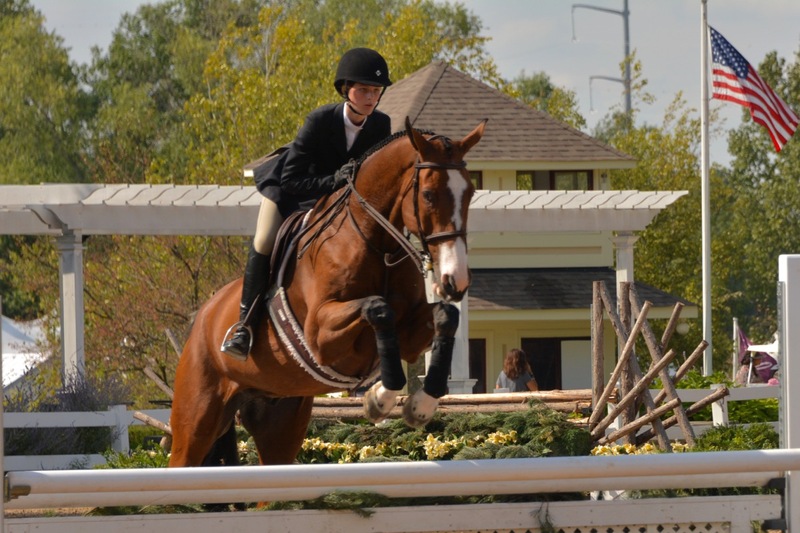 Franz, 15, of Wayne, Illinois, was the Individual Gold Medalist in the USHJA Zones 5 & 6 Children’s and Adult Jumper Championships last month. She rides with Liz Atkins at Benchmark Stables from Hampshire, Illinois. Kristen Franz and Cypress won the Low Junior Jumper Class. Photo Chicago Equestrian. “I knew going clear would place me in the top and this being my first show in the low juniors, that’s all I wanted to do. Fortunately for me, Cypress carries a big stride and a fast pace which allowed me to finish with a very speedy time,” said Franz. 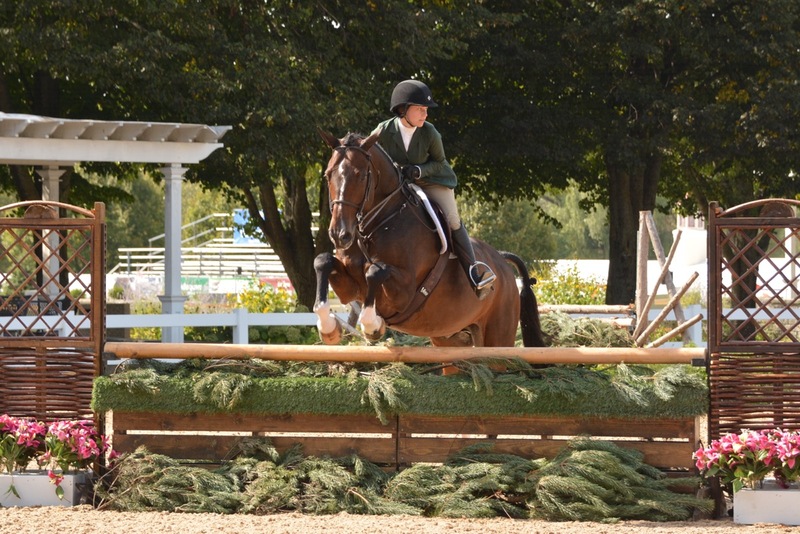 Second and third went to Red Coat Farm and trainer Lisa and Mary Goldman’s riders, Louisa Brackett and Kyle Perkovich. Brackett turned in a time of 26.672 with her Memphis Belle and Perkovich stopped the clock at 27.649 with Everlasting Goodness. 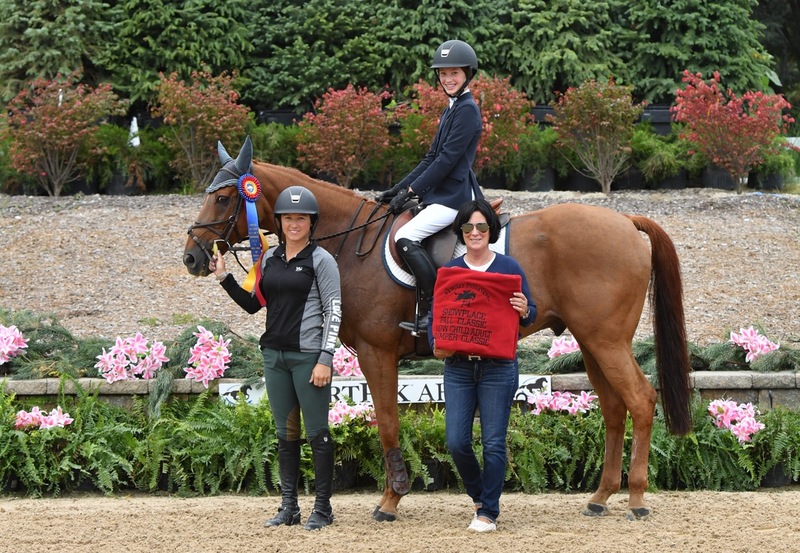 In the $1,500 Modified Children’s Adult Jumper Classic, 31 entries took on the challenge in the grand prix ring with Megan Thomas and Fiamette putting their name at the top of the leader board and Madelyn Cardelli and Khaleesi took second. Maggie Bresch and Keepen Posted. Photo Andrew Ryback Photography. Maggie Bresch and Keepen Posted earned the blue in the Low Children’s Adult Jumper Classic with Mary Loeber and Waiminny in second. 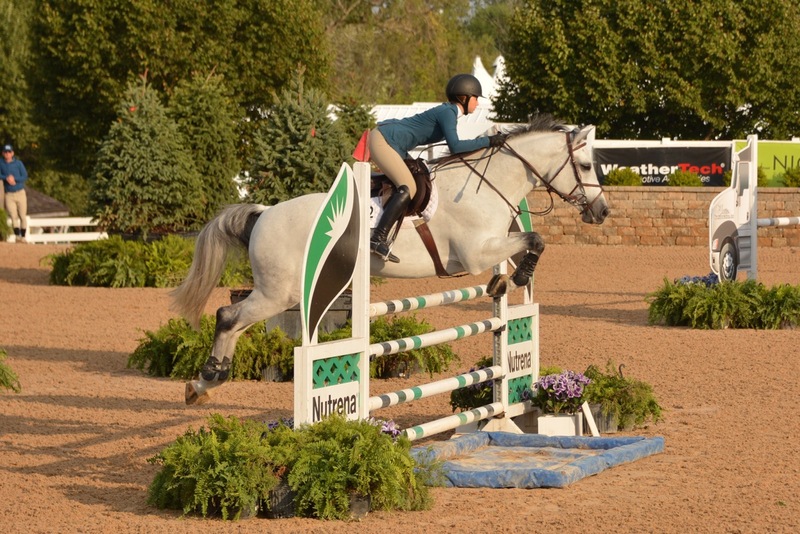 The championship weekend continues on Saturday featuring more M&S hunter, jumper and medal championships and the $25,000 Showplace Grand Prix. 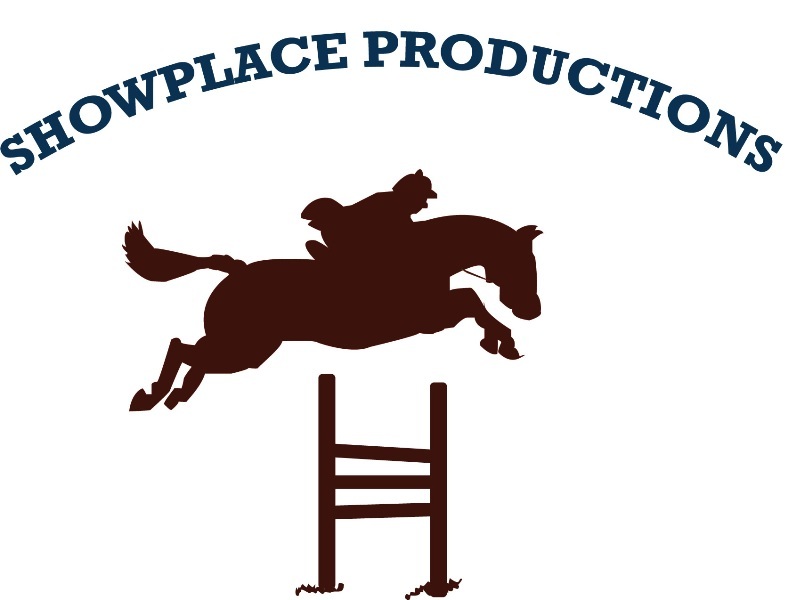 For more information on Showplace Productions events and a complete list of results, visit their website at www.showplaceproductions.com.